Mackinac Island is fiercely guarded by both visitor and islander alike. It is a place where people come back year after year for generations. 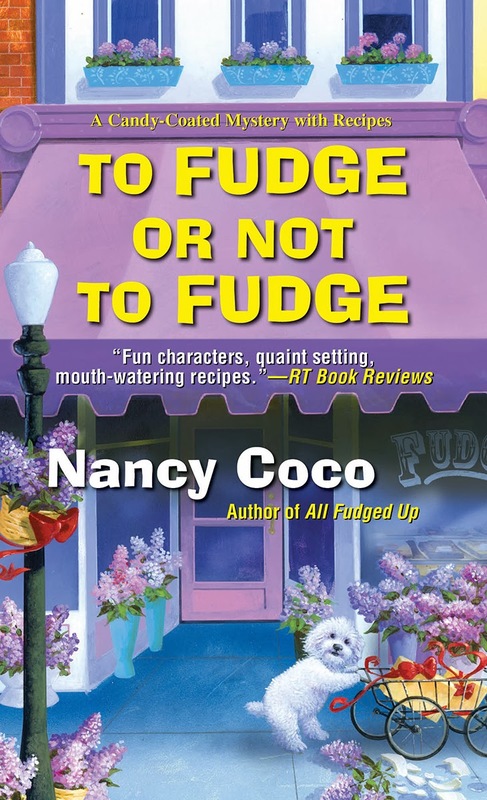 My writer and I were so happy when the second book in the series, To Fudge or Not To Fudge came out this month. Mal gets to tell you how she found bones in the mulch that was placed around the gardens on the island. I get to share with you the wonderful lilac festival. The only hitch is that there is yet another murder and although I try to concentrate on fudge making, I get sucked into the fray when my beloved mentor from my prestigious culinary school is attacked. To make matters worse, I joined the cast of a fudge making reality show. My intention was to get voted out early on-but competitive spirit gets the best of me and I find myself doing better than I ever imagined. So there I am, juggling the reality show, The Historic McMurphy Inn and Fudge shop and of course trying to solve the murder before another friend ends up in the hospital or worse. Mal and I are on the case. We figure we solved one murder, what could possibly go wrong if we tried our hand at solving another? It seems a whole lot of mischief can happen when you start out with good intentions. Thankfully Mal is with me to help me muddle through. Then there's the rest of the McMurphy staff who are fast becoming my family. What Mal and I want to know from you, dear reader, is this: if you could be on a reality show, which one would it be and why? I just finished reading this book a few hours ago. I loved it. I am so glad to read Allie is making the hotel and fudge shop such a success. I like all the new people in her life. I enjoyed meeting Allie's mother in this book. I don't think I would ever agree to be on a reality show. The only one I have ever watched was American Idol. I watched AI for the first time this season only because Harry Conick Jr. was a judge, lol. Dancing with the Stars is fun to watch. I love the costumes. I wouldn't want to be on any reality show. There's nothing real about any of them.